SugarCRM Authorize.Net Integration SugarCRM, Inc. 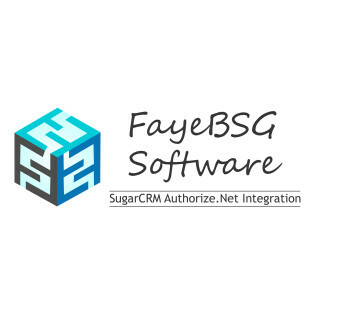 The FayeBSG SugarCRM – Authorize.Net Integration Application allows you to securely enter credit card billing information on Authorize.Net from within SugarCRM. Authorized users are able to charge and authorize credit cards for specific amounts. When using this CRM enhancement your client profiles and billing information will be organized and safely stored for easy access. Authorize.Net enables merchants to authorize, settle and manage credit card and electronic check transactions via Web sites, retail stores, mail order/telephone order (MOTO) call centers and mobile devices. The Authorize.Net platform manages the routing of transactions just like a traditional credit card swipe machine you find in the physical retail world. However, Authorize.Net uses the Internet instead of a phone line. The Authorize.Net Payment Gateway is available 24/7 for processing credit card transactions.